A report has recommended de-listing the Yellowstone grizzly from its status as a Threatened Species this year. If passed, it will allow the bears to be hunted by the end of the year, says The Ecologist. The grizzlies would still be protected from hunting in the Park itself, however it accounts for under a fifth of the 9 million acres the bears inhabit in and around Yellowstone -- and it would be legal to shoot them the moment they step over the Park boundary. The Yellowstone Ecosystem Subcommittee of the Inter-agency Grizzly Bear Committee recently recommended to the U.S. Fish and Wildlife Service that the bears be de-listed. The report, created by the Inter-Agency Grizzly Bear Study Team and titled Response of Yellowstone's Grizzly bears to changes in food resources - a synthesis, argues that grizzlies are no longer at risk, and are doing just fine. There are 550 grizzly bears in Yellowstone right now. In 2007, grizzly bears were removed from their status as a Threatened Species under USFWS. But in 2009, a federal district judge overturned that ruling and ordered grizzly bears placed back on the Threatened Species list, due to low numbers and backlash from conservationists, who say that the grizzly is still threatened by factors like hunting, climate change and food shortages. The Center for Biological Diversity has campaigned against delisting grizzlies, and recently filed a request under the Freedom of Information Act for documents used in developing the study behind the delisting, which they claim is inaccurate. 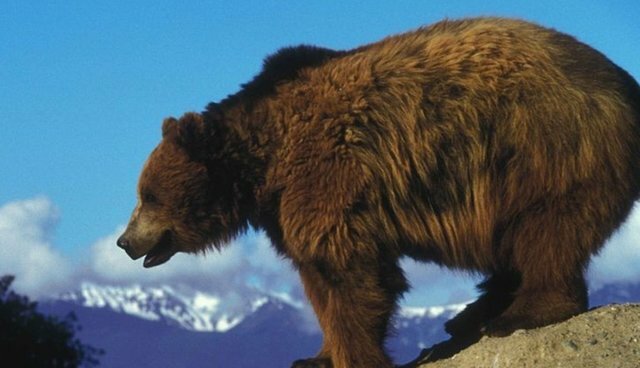 Opponents have launched a petition to save Yellowstone's grizzly bears; you can sign it here.